Auto enthusiasts appreciate most things with 4 wheels, but those equipped with powerful V-8 engines still rule the roost. Here are a couple of new factory hot rods that get our blood pumping. Most folks don’t think of the Lexus brand as being a capable contender in the performance category but the 2017 GS F challenges other luxury brands muscle in zooty fashion. The GS has always been Lexus’ sport sedan and with the 467-horsepower, 5.0-liter V-8 grumbling under the hood, it gives new meaning to the luxury sport moniker. Power is delivered to the rear wheels through an 8-speed automatic transmission. Paddle-shifters give the driver an effortless way of becoming a Formula 1 pilot with just a squeeze of the trigger. A Driver Mode Select feature allows you to control performance algorithms through the on-board computer. Choose between Normal, Sport and Sport +. The GS F’s body is a wind-cheating arrow despite its polarizing, oversized grille. Carbon fiber bits are strategically placed front and rear. Likewise, the interior exudes the performance motif with carbon fiber on the console and dash. We found the demanding joystick controller for the infotainment system frustrating to use but the Mark Levinson sound system superb. 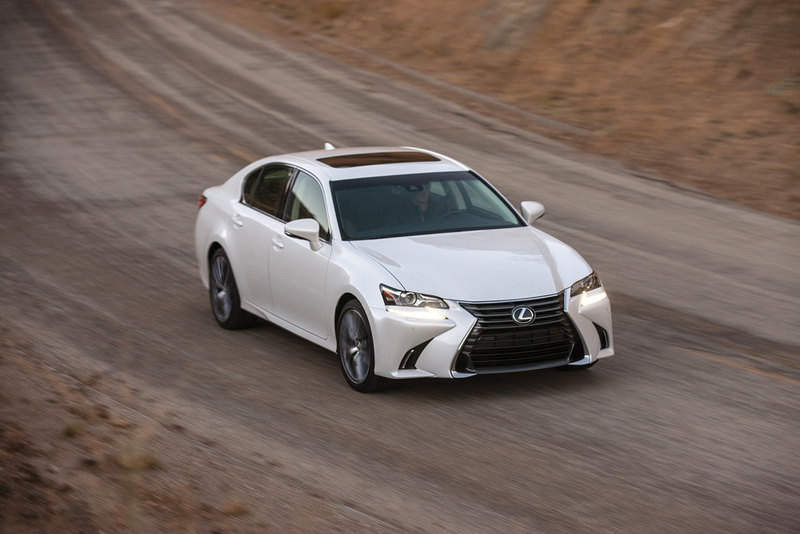 Overall, the Lexus GS F should give Cadillac, BMW and Mercedes a run for the money. Pricing begins at $83,940. Here is every red-blooded American boy’s dream; a street-legal factory racer that can out-power every one of its competitors. Imagine a 6.2-liter, supercharged Hemi engine that doles out a whopping 707-horsepower and 650 pound feet of torque to the rear wheels through a 6-speed automatic transmission. To get all that grunt to the pavement without burning the tires, Dodge uses computer assisted launch and traction controls. This bad boy is so powerful, the car comes with two separate key fobs, one red, the other black. Red for the owner, which allows delivery of the full 707 HP punch, the black fob limits it to a meager 500 ponies. Once you learn the car’s traction limits, then you’ll need to learn how to enter parameters in the built-in computer program via the infotainment screen at center dash. Here, you’ll be able to set launch rpm, traction control, shift points, etc. Bring along a 10-year-old to help you get through it all. 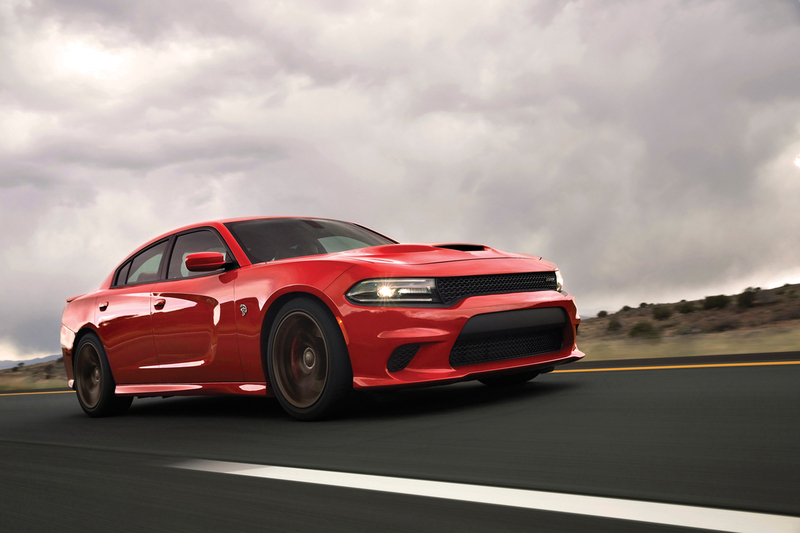 Hellcat pricing begins at $65,945.